If you've got Vietnamese on the mind, a recent opening is need-to-know. Located at 221 E. San Fernando St., Banh Mi Oven serves the Southeast Asian country's national sandwich. All banh mi include pickled carrots and radishes, cucumbers, cilantro and jalapenos, but customers can choose from options like sweet-and-sour pork, grilled chicken, fried egg and sardines. Further menu items include drinks like Vietnamese coffee and Thai iced tea, along with sides like spring rolls, beef stew, and fried rice. With a 3.5-star rating out of 13 Yelp reviews, Banh Mi Oven has made a promising start. "I just got done with my grilled chicken banh mi and it was yummy," wrote Yelper Abigail M. "The sauce was tasty and the baguette it was on got all nice and chewy from soaking in it. I paired my sandwich with the Thai iced tea -- and man, it was so good." 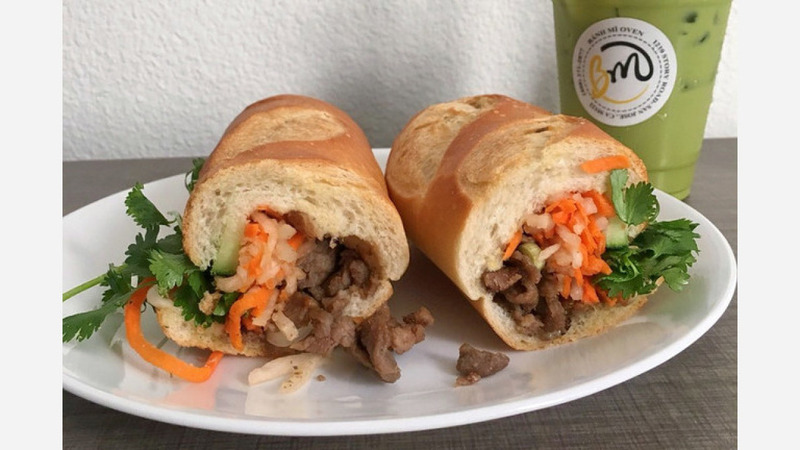 Yelper Julie N. added, "I'm super excited that Banh Mi Oven is open for business so close to San Jose State University. It is in a very convenient location, and the staff are also very friendly. I was lucky to find my favorite banh mi sandwich (vegetarian barbecue), and I really appreciate the affordable prices since they have the "mini" option for a couple of their sandwiches, which is slightly smaller than half of the original size." Banh Mi Oven is open from 7 a.m.-8 p.m. on weekdays, and 10 a.m.-5 p.m. on Saturday and Sunday.